This instant Cut Mango pickle is the traditional go-to pickle of the summer season in most South Indian households. This is due to the ease of making this dish, abundance of raw mangoes during summer, and most importantly because this is a fantastic accompaniment to the quintessential ‘Thayir saadham’ or Curd rice. 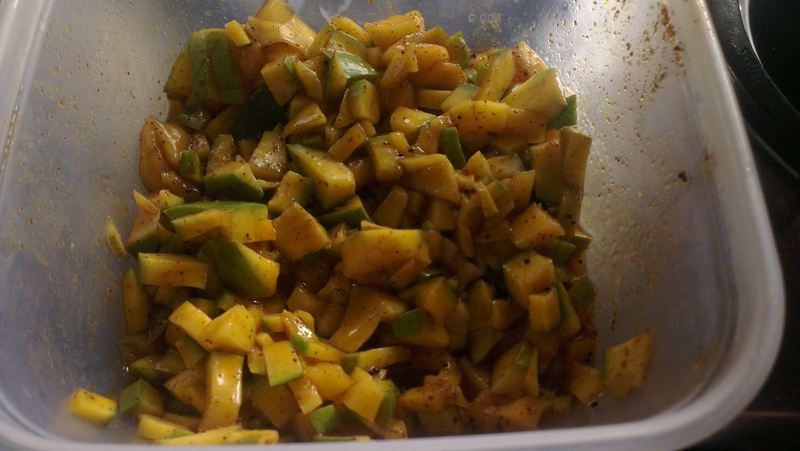 At my place, come summer, large quantities of raw mangoes are chopped and seasoned to make this amazing condiment. If you exclude the soaking time, this takes almost no time to prepare. There are numerous combinations of spices that can be used in this pickle, but the version I like was passed on to me from my MIL. In a large vessel, add diced mangoes, chilli powder, fenugreek powder, salt, sugar and mix well using a spatula. Let this sit for 1 hour. Add mustard seeds and allow to crackle. Add asafoetida, switch off the stove. 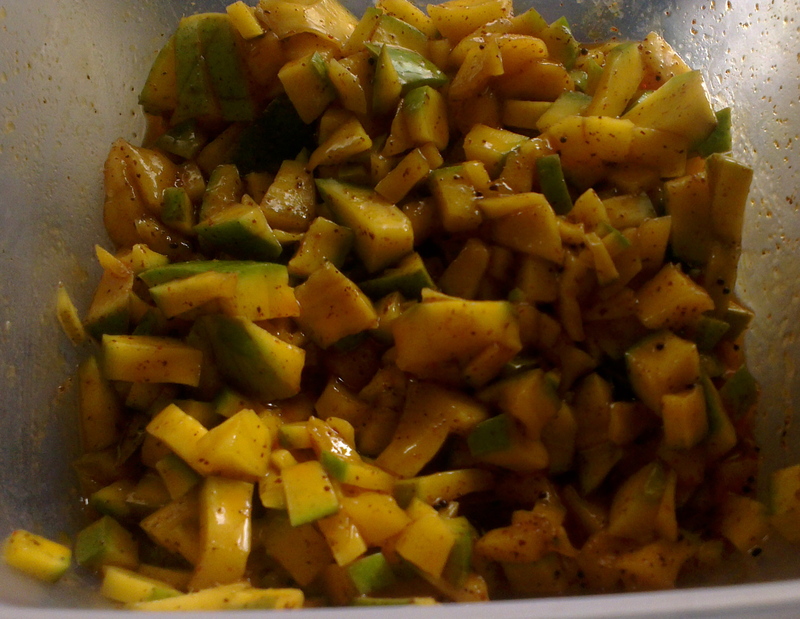 Pour this hot oil over the diced mangoes . Mix well. Adjust spices, salt as per taste. Let this sit outside for 15 mins covered. Once cooled, transfer into clean airtight container and close. Store pickle in refrigerator. Always use clean and dry spoon to serve. Choose a more sweetish raw mango for this pickle. The combination of sweet and spicy will surely please your palate !